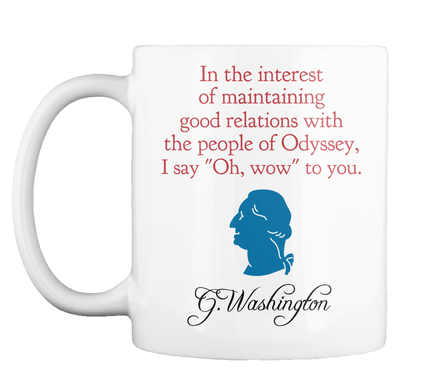 The Town of Odyssey • View topic - "Oh, wow" George Washington T-shirts! 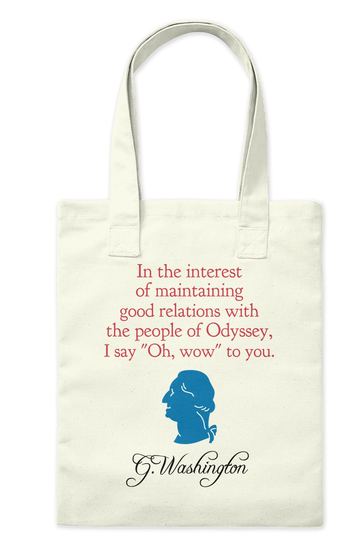 "Oh, wow" George Washington T-shirts! Post subject: "Oh, wow" George Washington T-shirts! This is my newest t-shirt design. This is probably my favorite design I've done! Also, Teespring now lets you put it on mugs and tote bags. Again, I've made the prices really reasonable. This time, I'm donating all the profits I get from the sales of these items to Focus on the Family. If anyone gets any of these, I'd love to see pictures of them! 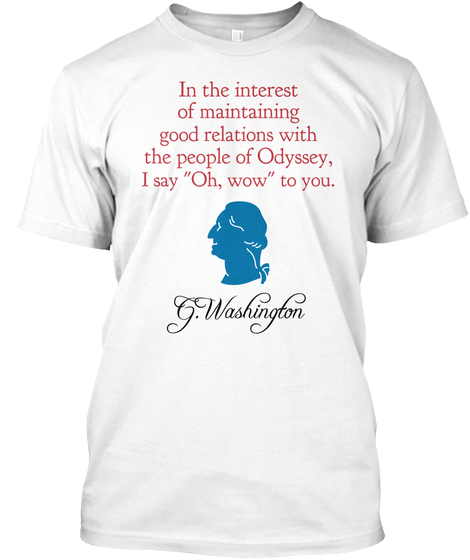 Post subject: Re: "Oh, wow" George Washington T-shirts! That's pretty cute! As a Canadian, I am slightly less interested than some folks might be, but I am still tempted to get a mug. I don't drink coffee or tea and therefore use almost no mugs, but that would be a super fun thing to pull out of the cupboard for company!